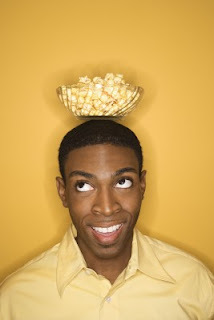 There's no more heavenly snack than Smartfood popcorn. My sister used to ship it back to me as a present when she lived in Boston, and they didn't sell it yet where I was living. Now that it has been bought out by Frito-Lay, Smartfood is everywhere. Smartfood came about in 1985 when Ken Meyers and Andrew Martin were using it as a filler for some enclosable packages they were trying to market. However, the popcorn was better than the packages, so they decided to market the popcorn instead. They realized the popcorn sold in bags at that time didn't taste that great, so they made Smartfood with fresh cheese. According to Wikipedia, the partners sold Smartfood to Frito Lay four years later for an undisclosed amount of money, rumored to be around $14.5 million.